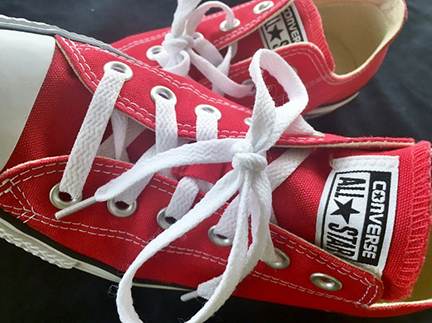 The initial case was filed in 2014 in US District Court by Converse against 31 major companies including Walmart and Ralph Lauren for allegedly infringing Converse’s signature Chuck Taylor shoe. IP Watchdog reports Converse accused the companies of copying the rubber “bumper” running around the front of the Chuck Taylor shoe; a “toe cap” on the top of the shoe above the bumper; and lines or stripes running around the sides of the classic kick. Converse, acquired by Nike in 2003, pursued an additional complaint with the International Trade Commission (ITC) to prevent infringing shoes from entering the United States. All but a few companies in the initial fight agreed to settle. But Walmart claimed, “Converse is using the suit to extort monetary settlements” and in a filing, stated that “Constripes” are “actually or aesthetically functional” and “are not subject to trademark protection.” Skechers and New Balance also stayed in the fight. Founded in 1965, the nonprofit (IDSA is one of the oldest and largest membership associations for industrial design professionals. IDSA has thousands of members in dozens of Student Chapters, Professional Chapters and Special Interest Sections in the United States and internationally. IDSA sponsors the annual International Design Excellence Awards® (IDEA), the world’s most prestigious and rigorous design competition. The Society leads National Industrial Design Day efforts annually on March 5; and hosts events including an annual International Design Conference, five District Design Conferences and niche conferences, bringing together some of the biggest names and brightest minds in industrial design and related fields. Global outreach includes designUpdate and designBytes e-newsletters; INNOVATION—IDSA’s flagship publication—a highly regarded magazine within the profession; and the Yearbook of Design Excellence, featuring IDEA, IDSA Award and Student Merit Award winners. IDSA Ambassadors support and promote industrial design with research and thought leadership such as INsights. To learn more, visit www.idsa.org, and connect via @IDSA on Twitter; Industrial Designers Society of America on LinkedIn and Facebook; and @IDSAdesign on Instagram.